The UK MS Register team would very much like to wish you all a Merry Christmas! We would also like to take this opportunity to introduce you to Katie Tuite-Dalton’s maternity leave cover, Chris Roberts, who will be taking on the role of Communications Officer during this time. 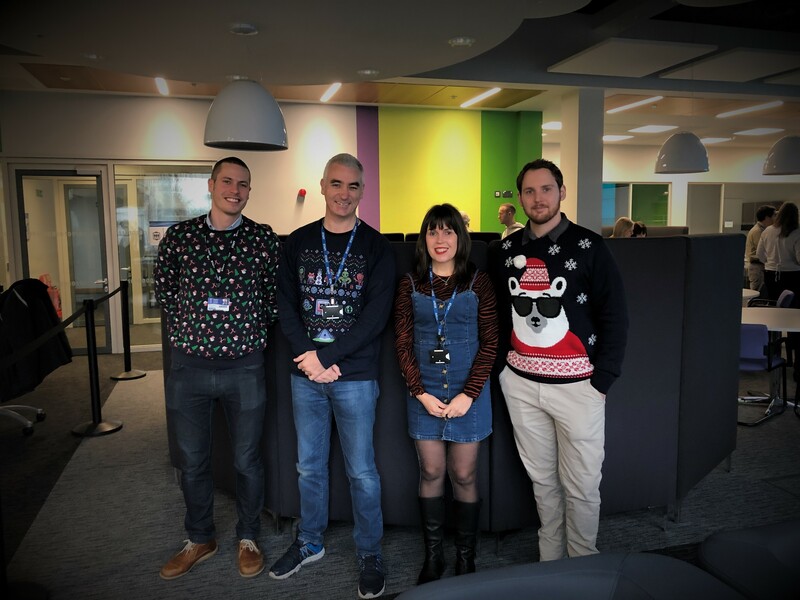 Prior to this role, over the course of the last 10 years, Chris has worked at Cancer Research UK and Marie Curie in community engagement type roles and before that studied Business Studies here at Swansea University. Throughout 2018 we’ve been busy here at the UK MS Register; we’ve developed and launched a new website to make the content clearer and we’ve added the ‘My Feedback Report’ which provides you with a useful snapshot of the information you’ve uploaded. We’ve developed new working relationships leading to exciting new studies involving vitamin D and physical function levels. Plus, we have grown our partnerships with NHS hospitals and now have 45 clinical sites that are able to feed information directly into UK MS Register. The Vitamin D study questionnaire is still open for a few more days if you haven’t already completed it. More information about the study can be found below and on the UK MS Register website. Thank you for your involvement this year and we look forward to your participation in 2019 and wish you all a very Merry Christmas and a Happy New Year! Previous Previous post: Are people living with MS in the UK vitamin D deficient? Next Next post: The Importance of Patient and Public Involvement in Medical Registries.